Have you face widevine content decryption module error. While using Netflix, Amazon prime on chrome. This is very common error comes when playing DRM-protected HTML 5 videos. If your answer is Yes, and you want to fix this error right now. Then this article makes you happy to solve this problem. Without wasting time lets see how to fix this error. What is widevine used for? Methode 5: Perform a fresh Google Chrome Installation. What are Encrypted Media Extensions? What are the Different Types of Content Description Module? Google Chrome and another browser like Mozilla use widevine content decryption module to play DRM protected videos. This module extension is preinstalled in all latest version of browser mentioned above. If you disable or remove this module. Then your browser won’t able to play DRM protected media. In a simple word, your browser won’t play Netflix or amazon prime video without this extension. Below we Mentioned working methods to overcome the widevine content decryption module in chrome browser. This error comes due to many reasons. So we have to check all season to fix this issue. The error comes due to outdated widevine content decryption module. So you have to update it. Follow the steps to fix this issue. Type chrome://components/ into your chrome browser. 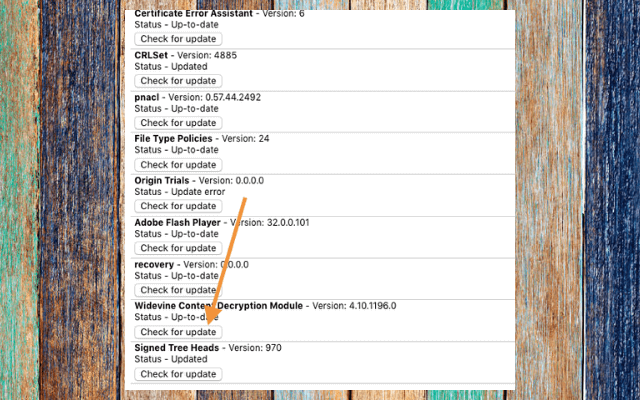 Navigate to Widevine Content Decryption Module click on Check for Update button. Refresh your page and check Status – Up-to-date. Then restart your computer. And trying to play Netflix video. 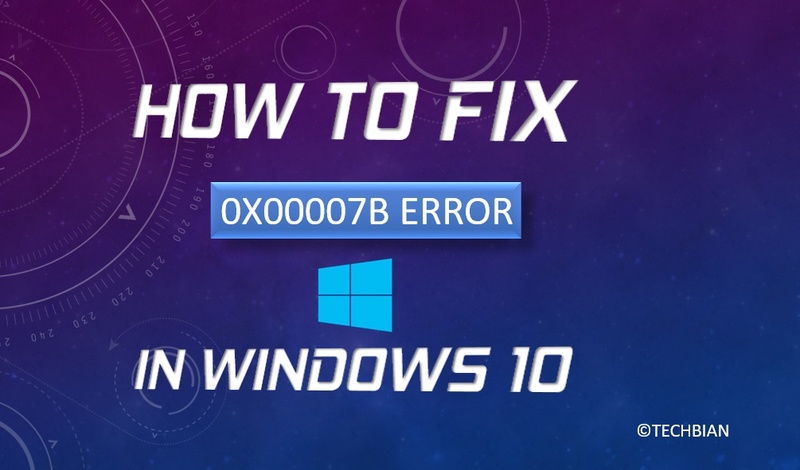 If you having an error then follow the second method to fix widevine content decryption module issue. This method is a little bit tricky. But it will very helpful and it will solve your error. To working properly this module must have complete access. 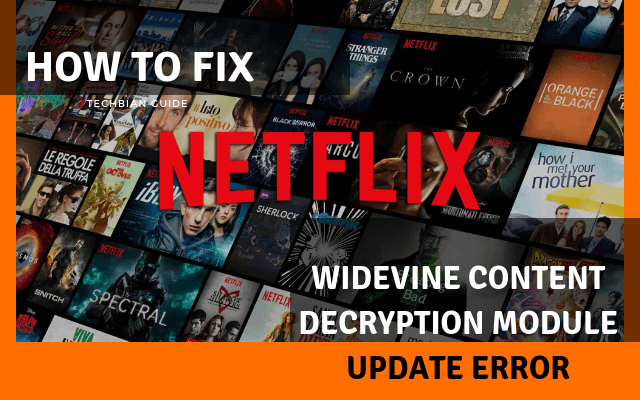 Some of the widevine content decryption module error is coming due to lacking permission or may your widevine content decryption module has crashed. 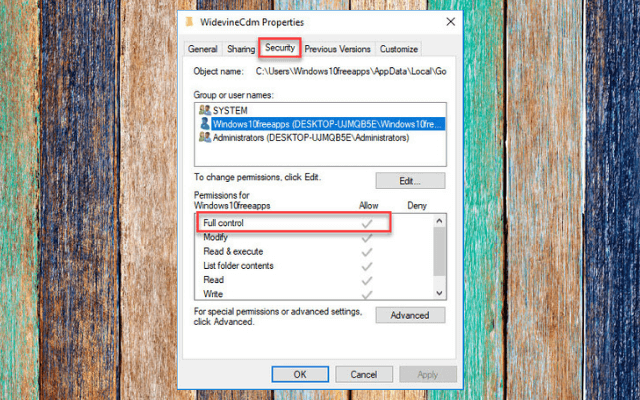 So you have to set the permissions for WidevineCdm. Open Run Application by pressing Windows + R Key. Enter the %userprofile%/appdata/local” in Run dialogue box and hit Enter key. Now navigate to following Path Google > Chrome > User Data. Find “WidevineCdm” then right-click on it and select “Properties” tap. Now go to the security tab and ensure that login user has full access. To verify it make sure “Full Control” checkbox is ticked. If this is unchecked then follow next step. Edit profile by selecting your profile and click on Edit button. Now uncheck all boxes under the Deny column. Now click on apply then Ok button. Now follow Methode one to Update plugin. After Updating plugin Restart your Computer again. Now try to play Netflix and expectantly your problem will be resolved. Still facing the same problem. Above giving method doesn’t fix the problem. Then you have to delete the Plugin folder and then update it. So to do this you must log in your computer as an Administrator account. Find “WidevineCdm” then right-click on it and select “Delete” tap. Open “task manager” by pressing windows + S. Type task manager in the dialogue box, and now right click on it then Run as administrator”. Now End all Chrome tasks one by one by right click on Chrome related items and then Click on “End task”. Now follow Methode one to Update plugin (component Widevine Content Decryption Module). Sometimes antivirus or security software like firewall prevent plugin to update. Antivirus like McAfee, Norton, quick heal & Kaspersky is not allowed to update for security purpose. Due to this chrome don’t able to be updating the plugins. And this may the reason for widevine content decryption module comes in Chrome Browser. So you can temporarily disable your antivirus and security application and update the widevine content decryption module. After updating enable Antivirus and security options. Now try to play a Netflix video. Hopefully, the methods given above will solve your widevine content decryption module error. If you still facing the issue then lastly you can reinstall the chrome with an updated version. This will surely solve your issue. Because the new version of chrome contains updated widevine content decryption module. So to do this first you have to uninstall your old Chrome. Open Run Application by pressing Windows + R Button. Press Windows + R to launch the Run application. Type “appwiz.cpl” in the dialogue box and press Enter. This should launch a window where all the applications installed on your computer should be listed. Now type “appwiz.cpl” in Run Application. This will open windows uninstall a program. Now right click on “Google Chrome” And click on Uninstall. Now download and install fresh Google Chrome from its Official Site. Try to open Netflix and play video. If you’re using Firefox and facing Widevine Content Decryption Module error then follow steps given below. Open Menu in Firefox from the Right Top corner. Now choose the Widevine Content Decryption Module provided by Google Inc.
Now Select Always Active option from the right drop-down button. Close the browser and open it. Try to play Netflix videos. If you can’t find Widevine Content Decryption Module provided by Google Inc in add-ons manager. 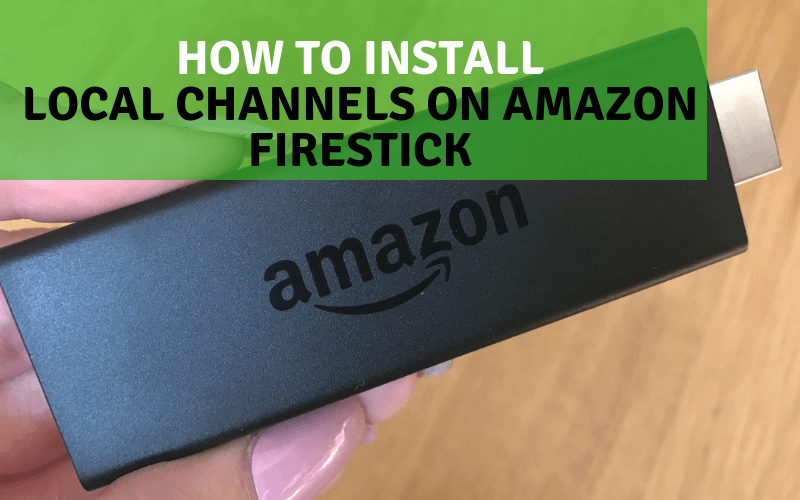 Then you have to install this addon by following steps given below. Click on the Menu button in the Firefox browser. In first option General, Now scroll Down to navigate Digital Rights Management (DRM) Content option. To Enable Play DRM-controlled content check on it. Now, Firefox will start downloading widevine content decryption module. And you can easily play Netflix HTML5 Videos on firefox. Hold the “Option” key and click on “Go“. Goto to “Application Support” > “Google” > “Chrome“. Now open Chrome and type “chrome://components“, then press “Enter“. Click on “Check for update” button under “WidevineCdm“. Opera browser does not support HTML5 videos. So you cannot use Netflix, Amazon Prime and other DRM protected streaming. Because they require an HTML5 player. W3C Released a new Specification to make a bridge between a web browser and digital rights management (DRM) agent software. Basically, EME uses a Key System which the component of Content Decryption Module to encryption and decryption. The main role of EME is allowing HTML5 to play DRM-winded media content from the video services like Netflix, Youtube etc. Now we don’t need to install and update extensions like adobe flash or Microsoft Silver light anymore for playback. So, guys, this was the complete step by step guide on widevine content decryption module provided by Google Inc. In this guide, I will combine all possible methods to fix the error. I am listed every step every method only for my readers. 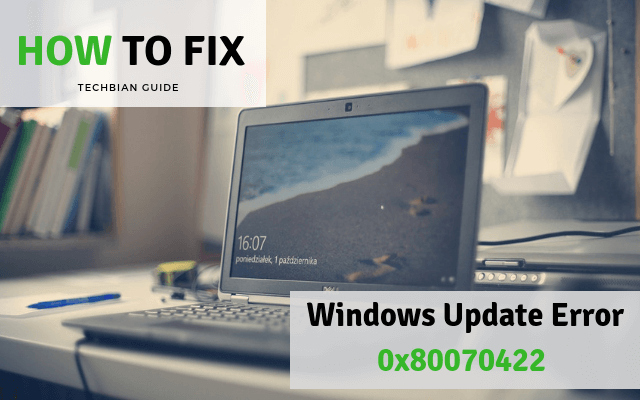 This guide contains the solution for all both Google Chrome and Mozilla Firefox. so you can’t face any trouble in the future. 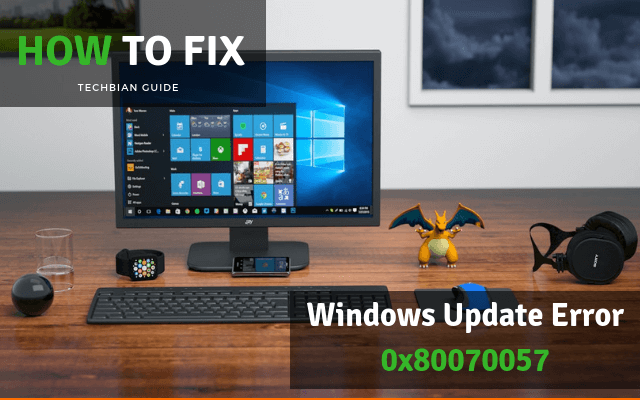 Hopefully, you enjoy this guide to fix the WidevineCDm error. Now watch Netflix or HTML5 DRM protected videos on you desire browser. If you like this article. Then please share it on Facebook, Twitter, and other social media channel. Keep visiting for more interesting how guides like How to Unlock Android Phone Password without Factory Reset.